Trip highlights: This is another different travel style, you'd share one coach, one English speaking guide, share you experience with new friends, and organized group tours in every city, and your city transfer is separate. Our Beijing tour guide will hold a welcome sign to meet you at the Beijing Capital Airport and transfer to the hotel. Relax for the rest of the day. Recommend you to take a walk on Wangfujing Streeet, the most busy shopping area in Beijing. 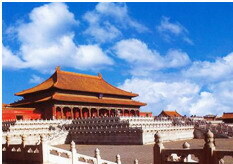 One-day tour (available on Tue, Thu, Sat, Sun): Forbidden City, Temple of Heaven & Summer Palace. Watch Peking opera in the evening. ① Pick up at your hotel between 7:20am and 8:30am. ② Drive to visit Forbidden City(2 hours) → Chinese traditional medicine culture → Temple of Heaven(1 hour) → Western and Chinese buffet lunch(40 minutes) in Bangfuchun Restaurant → short visit to a pearl free market → Summer Palace(1 hour and 20 minutes) → back to your hotel. Pick up from hotels at 18:00-18:30pm. The show time of Peking opera is from 7:15pm-8:30pm, about one and half hours. After the show, transferred back to your hotel. 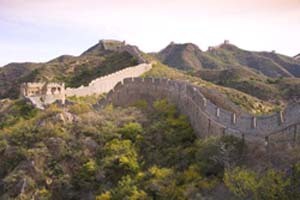 one-day tour: Mutianyu Great Wall and Olympic Stadium. ① Pick up at your hotel between 7:20am and 8:00am. ② Drive to Mutianyu Great Wall (cable car is optional), stop on the way to visit a jade carving factory, learning about the stone carving → traditional Chinese lunch at a local nice restaurant → the National Stadium-"Bird Nest" and National Aquatics Center-Water Cube → drinking Chinese tea and enjoying tea ceremony in a well-know Chinese tea market → Back to your hotel around 6:00 pm. [ Optional ] Forbidden City: For almost 500 years, the Forbidden City served as the home of 24 Emperors and their households, and the ceremonial and political center of the Chinese imperial government. It was listed by UNESCO as a World Cultural Heritage Site in 1987. One-day tour (available on Mon, Wed, Fri): Beijing Zoo, Hutong Tour, Yonghe Lama Temple. ① Pick up at your hotel between 7:20am and 8:30am. ② Tranfer to visit the lovely Giant Pandas in Beijing Zoo → Lama Temple (Yonghe Temple), 1 hour → Chinese traditional handicraft silk carpet factory → lunch in a local typical Beijing resident's house → 2 hours Hutong rickshaw Tour → enjoy tea ceremony in a tea house → back to your hotel. Later transfer to Beijing airport for the flight to Xian. 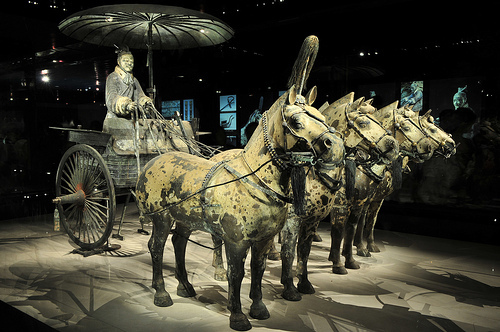 Upon arrival at Xian airport, be met by our English speaking tour guide and drive to hotel.